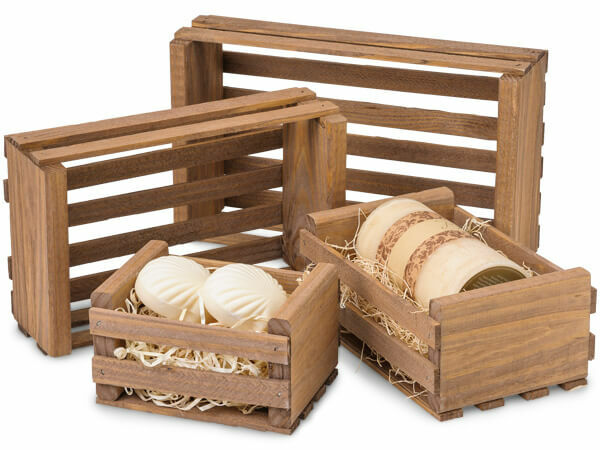 Early American Stained Crate Assortment contains one each of the following sizes: 6 x 4 .25 x 3.5", 8 x 5.5 x 3.5", 10 x 6.5 x 3.5", 12 x 7.5 x 3.5". Four crates total. Crates are hand made. Sizes are approximate and may vary.